It wasn’t so long ago that professional dental care for pets was NOT the norm. Pet dental exams and lengthy discussions of oral hygiene just didn’t happen! That’s probably why, in general, pet owners consider “doggie breath” normal. Pet owners are often unaware of the painful and devastating effects of dental disease on their pet’s health. Did you realize that by the time a pet is 3 years old, around 80% have some signs of dental disease? What would happen if you never went to the dentist? Pets are great pretenders! They generally won’t tell you when something hurts, and for this reason, dental disease is a silent menace. Acting healthy is a defense mechanism for pets. But dental disease causes a pet chronic pain. Dental disease can result in significant infection, bone loss around diseased teeth, loss of teeth, and spread of bacteria elsewhere in the body. Loose teeth are not normal! 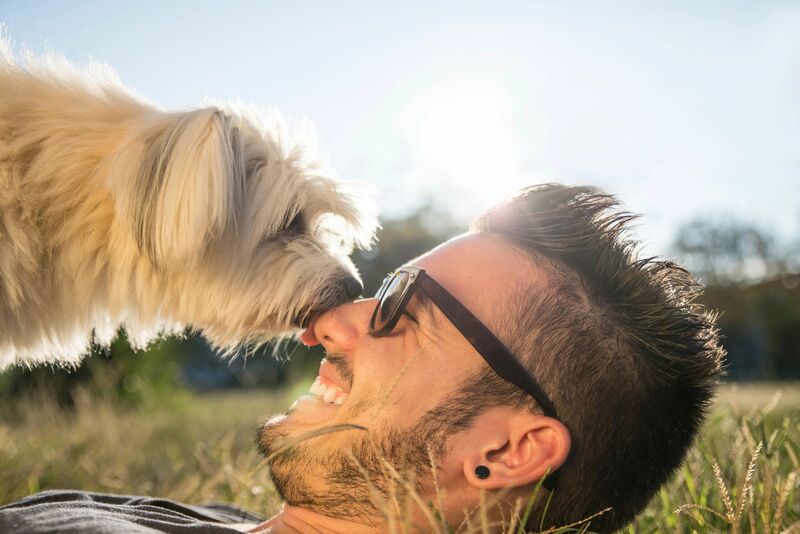 A healthy mouth can add years to your pet’s life. Just like with us humans, bacteria in the mouth promote plaque formation on teeth. Plaque is the beginning stage of dental disease and what we attempt to remove with brushing. Plaque quickly turns it into tartar, which is nearly impossible to brush away. Plaque under the gumline leads to gingivitis (gum inflammation), which then turns into periodontal disease including bone loss and loose teeth. Regular oral exams by your veterinarian will help you be aware of dental disease. Schedule an oral exam with your veterinarian. If disease is found, your veterinarian will recommend an anesthetized cleaning & oral exam with dental x-rays. A tooth is much like an iceberg: we see part of the tooth, but a large portion of it remains hidden beneath the gums. Even for a dog with small amounts of tartar, gingivitis indicates that deeper problems may be present. Dental x-rays can show bone loss, diseased tooth roots, and may help to identify unknown problems hiding beneath the gum surface. From there, a treatment plan can be determined and action can be taken. Untreated periodontal disease can lead to a higher risk for kidney, liver, and heart disease—potentially shortening your pet’s life by as much as 2 years. It’s far safer on your pet to have regular anesthetized cleanings and evaluations to prevent periodontal disease, rather than waiting until disease is severe. If you have any concerns about your pet’s mouth, schedule an exam today! It’s vital to be your pet’s best health advocate.